This summer we will be back to John Rennie High (501 boul St. Jean Pointe Claire) as renovations take place at PCHS. This school is easily accessible by public transportation and has plenty of parking. 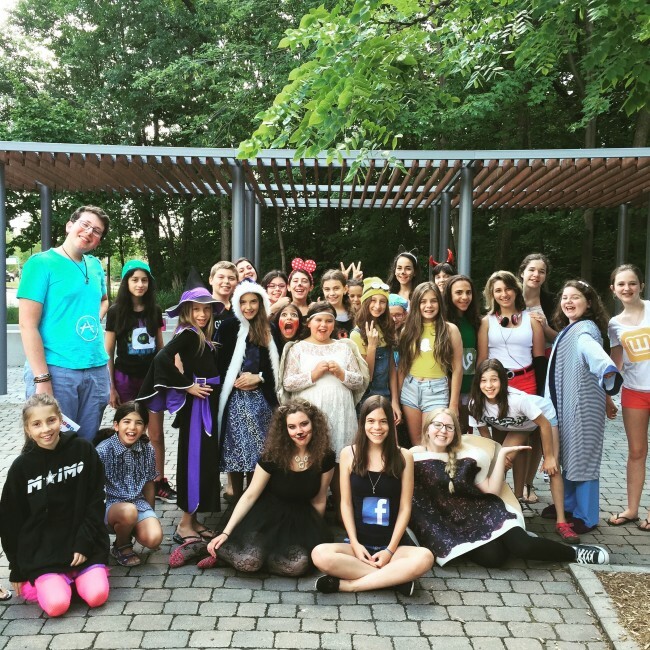 It has a state of the art theatre and stage, plus beautiful outdoor grounds. We are across from the Aquatic center for rainy day swim and close to Cedarpark pool for outdoor swim. Campers can enjoy the lovely green space and the playground facility on site. We also have a football field right outside our entrance. Inside we are lucky to have a beautiful mirrored dance and art room (with air conditioning) and a professional theatre. We will provide daily, door to door service for parents and campers through our own entrance at the The Louise Chalmers Theatre door making it very convenient for morning drop offs. 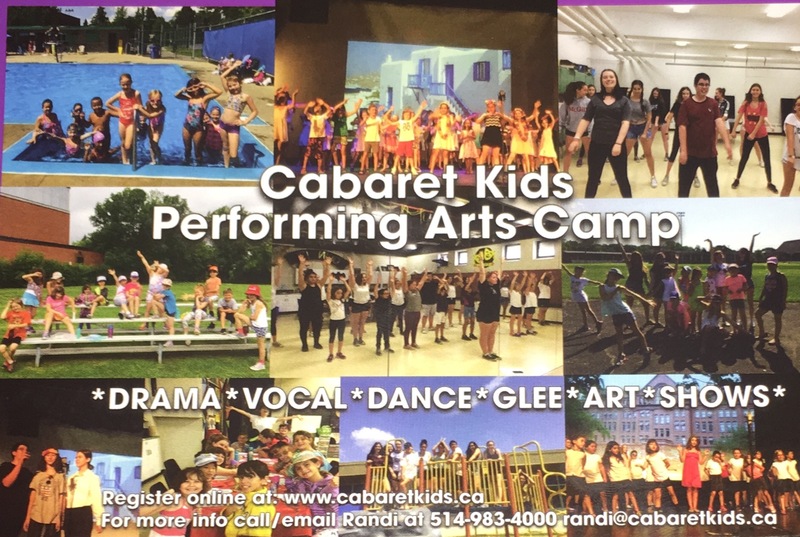 Cabaret Kids is the only camp in the West Island that specializes in dance, theater, vocal, art, improvisation and film. The campers experience performing on stage, as they learn to express themselves creatively thru song and dance.The first week of each 2 week session is a talent show, that all the kids participate in and the second week is a final presentation of all their dances, song writing, X program and musical performance. 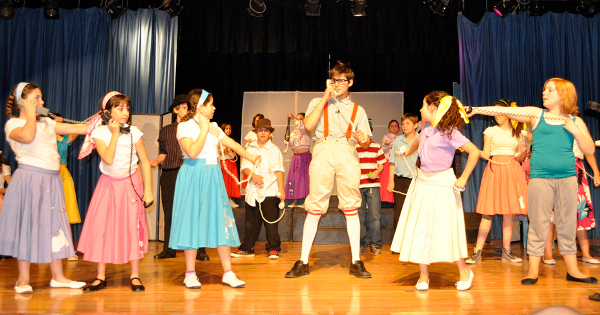 The final productions are all live on stage with professional sound and lighting. Dance Space indoor and outdoor. Professional Theatre with a stage and a backstage with 4 dressing rooms and bathrooms. Large outdoor green space for all of our activities. Extended hours: 07h30 – 9:00 ET 15.00-18.00: $ 3.00 per hour (Special fee :7:30-6:00 $35.00 per week) Must be paid in advance to receive this promotional price. Extended Promo: If you have more than one child, you are eligible for a discount on your fees for extended. First child is $3.00 per hour.Your 2nd child will be 1/2 price at $1.50 per hour. The 3rd child will be free. 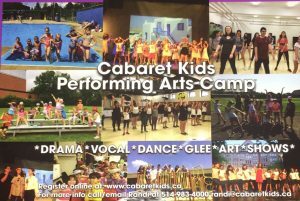 Inquire about our NEW SIT program for campers in grade 10,11 that love performing but also want to work and gain experience in their specialty. 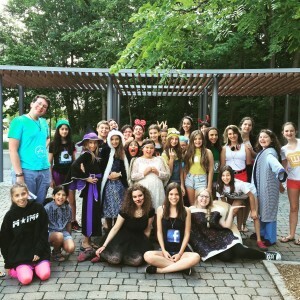 FREE: Campers that have finished grade 8, needing early am or extended pm will not be charged early am or extended. Early Bird Registration: Register and pay first insallment by Feb 14th (Final payment due March 1st) and receive an additional 5% discount. (All promotions are only applicable for registrations of sessions consisting of 2 weeks or more) Should the balance of payments not be received by the specified time, the regular fee will be charged. YOU CAN CHOOSE TO COME FOR ONE WEEK TO CAMP OR YOU CAN PICK AN ODD NUMBER OF WEEKS TO ACCOMMODATE YOUR SUMMER SCHEDULE. 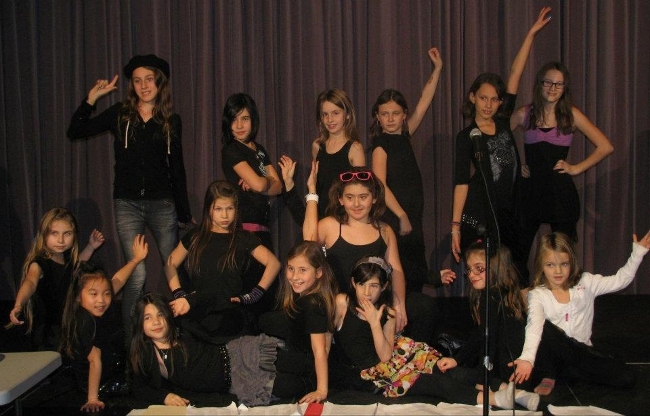 Acting, singing, & dancing for children 6-18 years old. The final production will be presented on stage. There will be a full band, sets & costumes for this production.